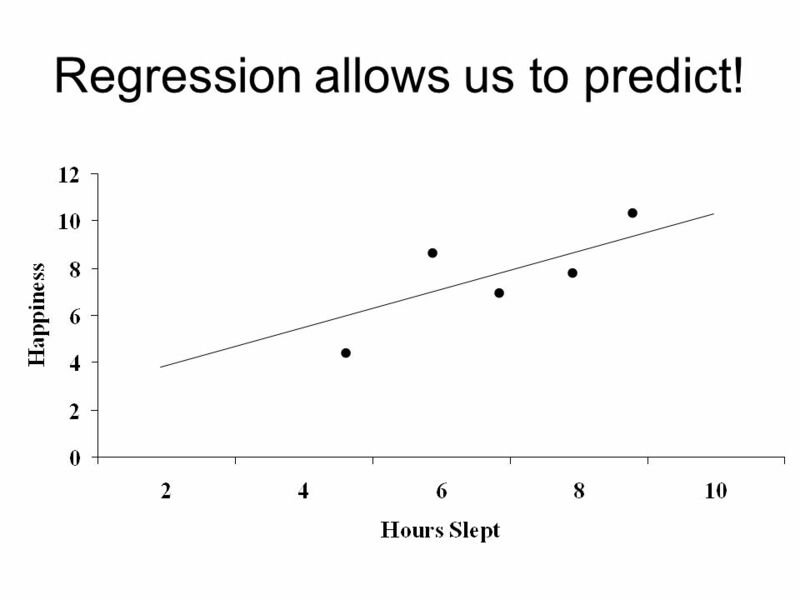 5 Regression allows us to predict! 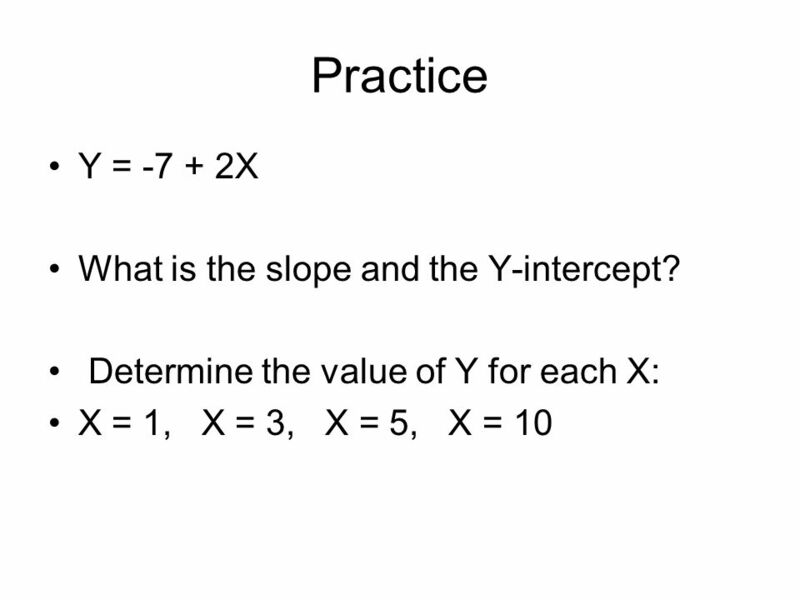 11 Practice Y = -7 + 2X What is the slope and the Y-intercept? 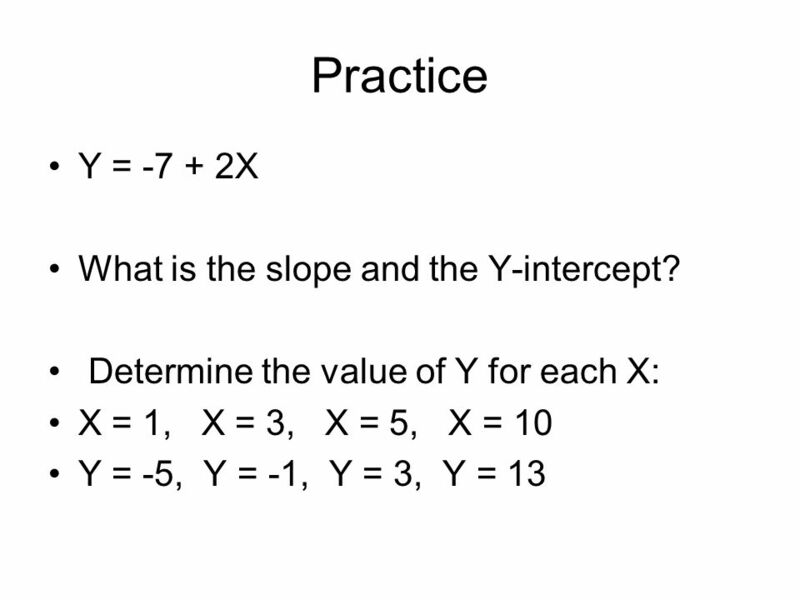 12 Practice Y = -7 + 2X What is the slope and the Y-intercept? 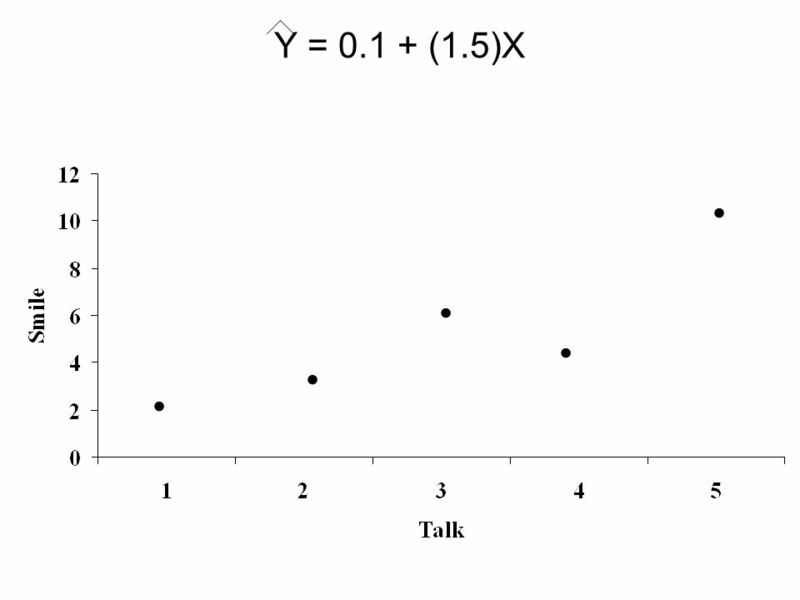 14 . . . . .
26 Y = (1.5)X . . . . .
27 Y = (1.5)X X = 1; Y = 1.6 . . . . . .
28 Y = (1.5)X X = 5; Y = 7.60 . . . . . . .
29 Y = (1.5)X . . . . . . .
Download ppt "Sleeping and Happiness"
Finding Slope – Intercept From an Equation STEPS : 1. 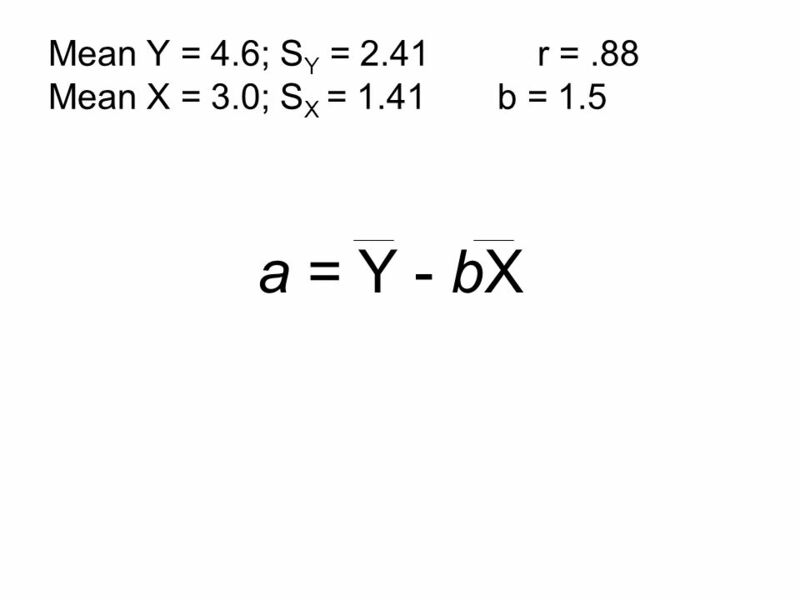 Equation must be in y = mx + b form 2. 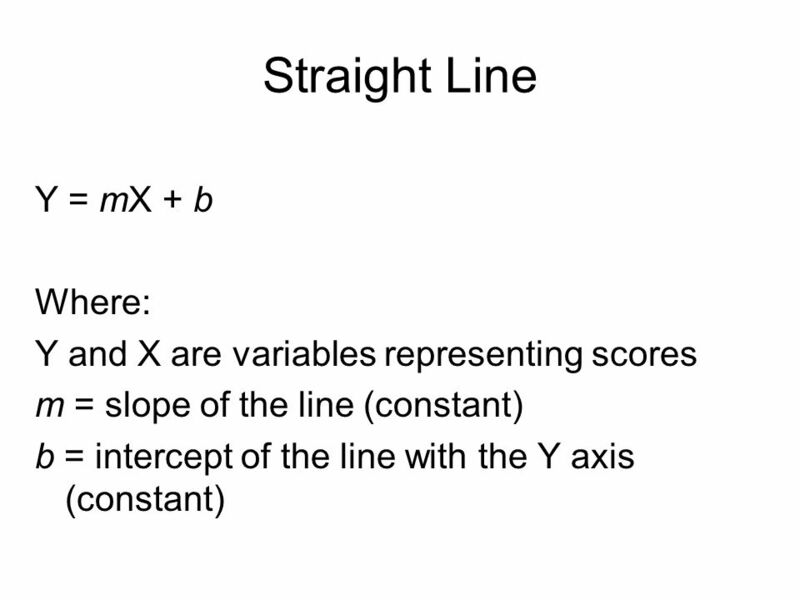 The slope is the coefficient of “x” ( m ) 3. The y - intercept. 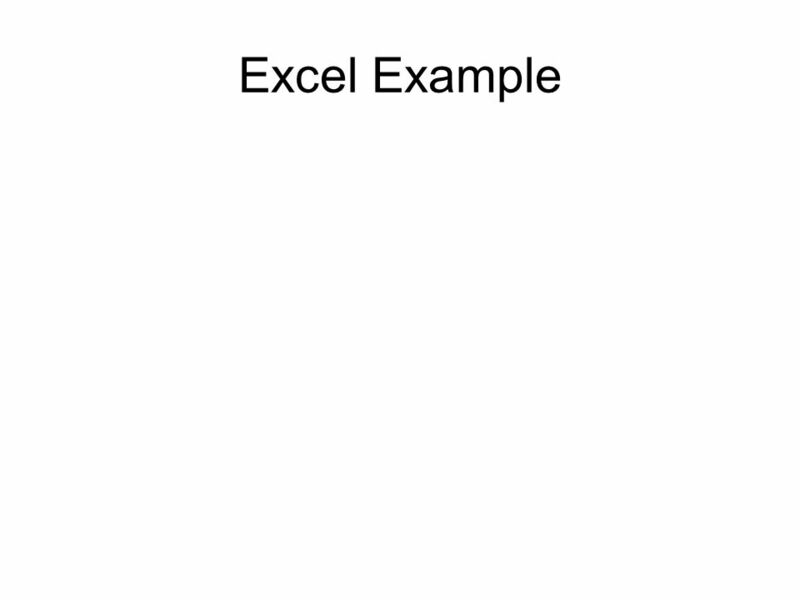 Copyright © 2012 by Nelson Education Limited. 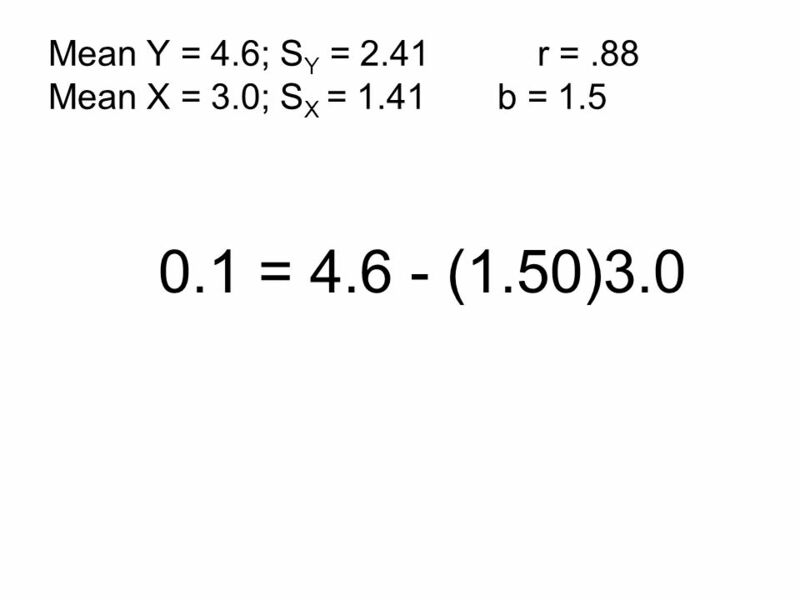 Chapter 13 Association Between Variables Measured at the Interval-Ratio Level 13-1. 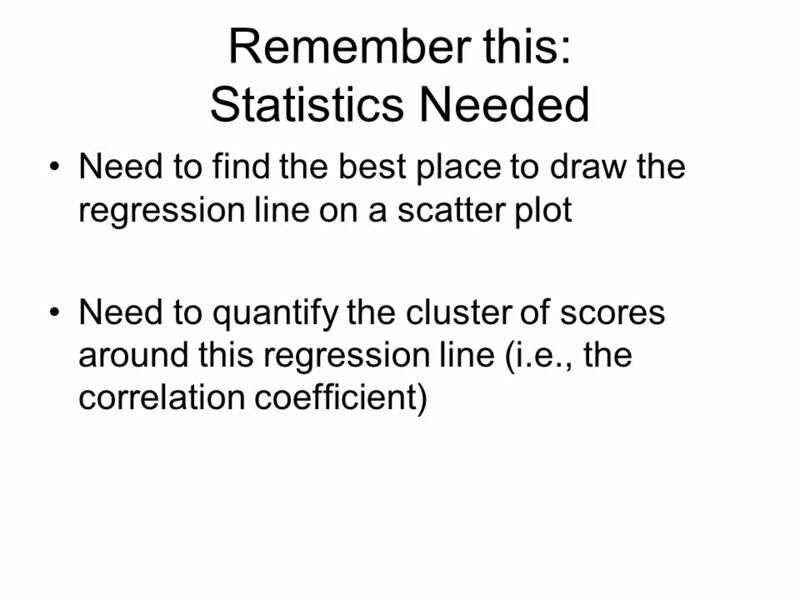 Advanced Higher STATISTICS Linear Regression To see if there is a relationship between two variables, we draw a scatter-graph. It is then possible to draw. Chapter 10 Regression. 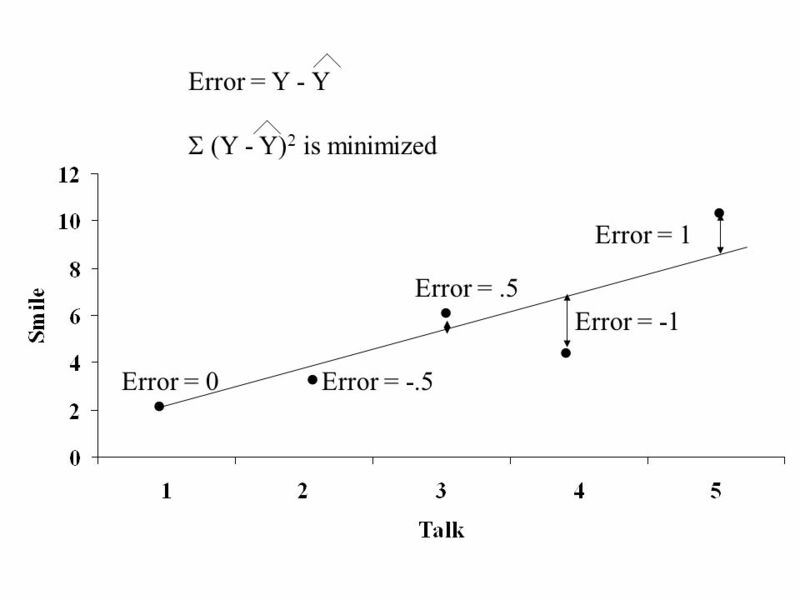 Defining Regression Simple linear regression features one independent variable and one dependent variable, as in correlation the. 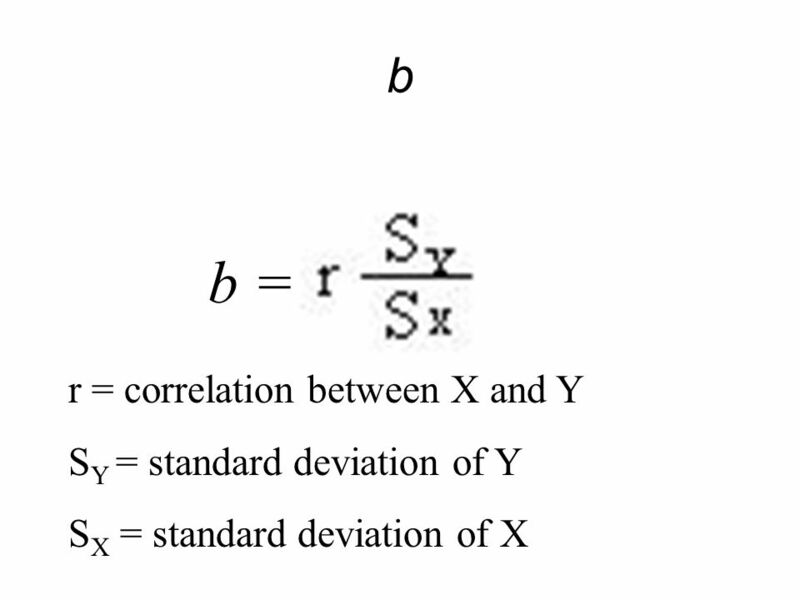 1 Copyright © 2005 Brooks/Cole, a division of Thomson Learning, Inc. Summarizing Bivariate Data Introduction to Linear Regression. 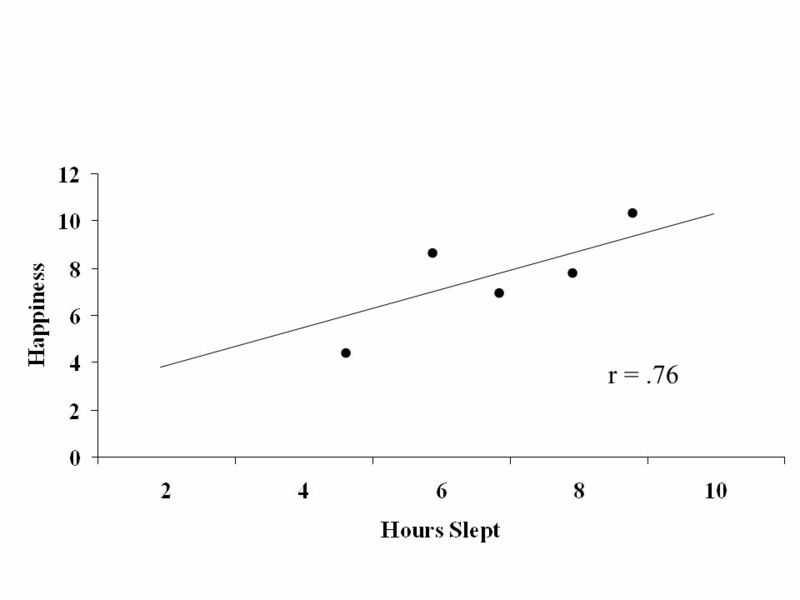 Engineering experiments involve the measuring of the dependent variable as the independent one has been altered, so as to determine the relationship between. 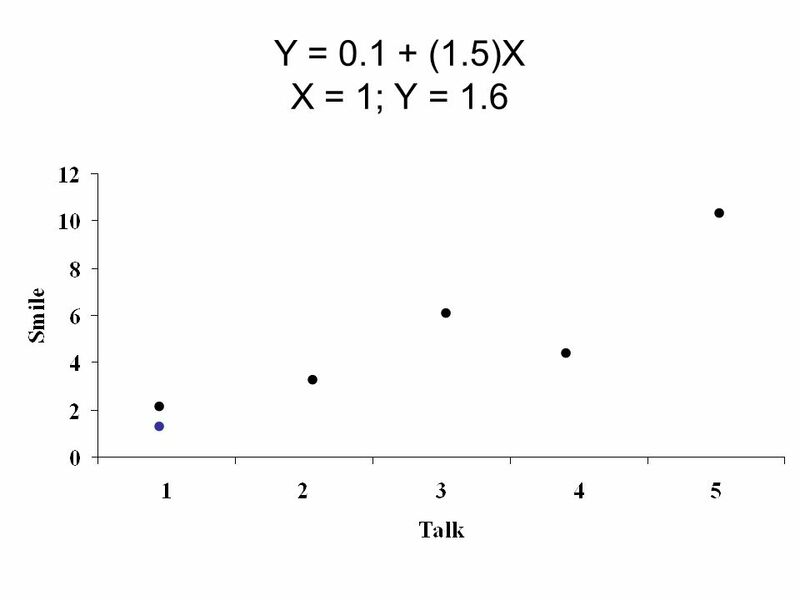 LINEAR REGRESSION: What it Is and How it Works Overview What is Bivariate Linear Regression? 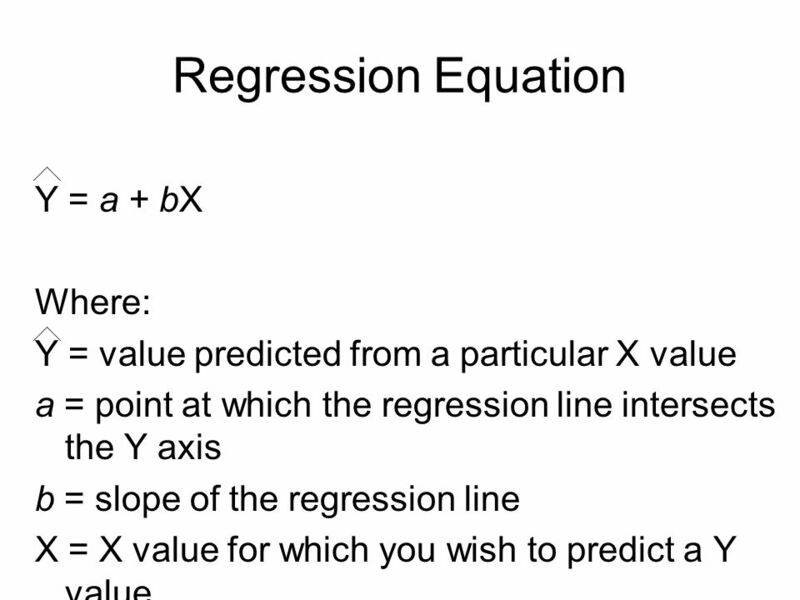 The Regression Equation How It’s Based on r.
LINEAR REGRESSION: Evaluating Regression Models. 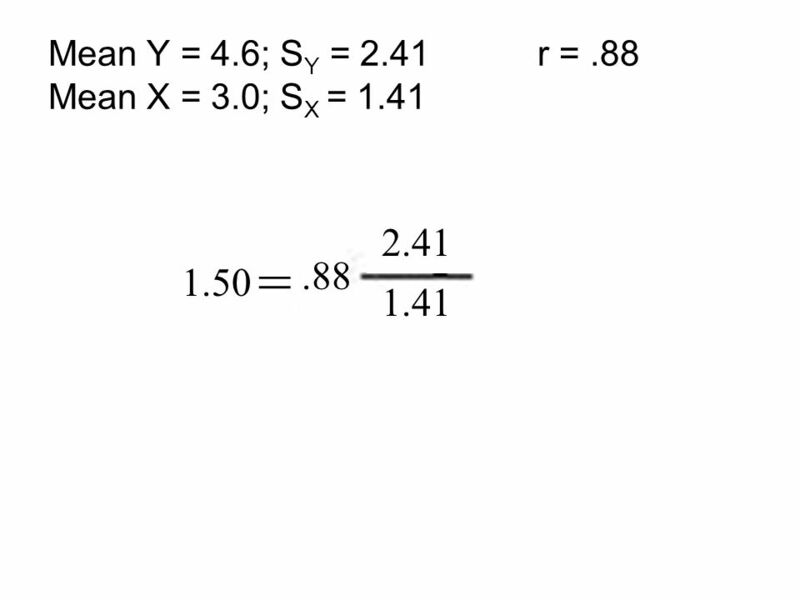 Overview Standard Error of the Estimate Goodness of Fit Coefficient of Determination Regression Coefficients. 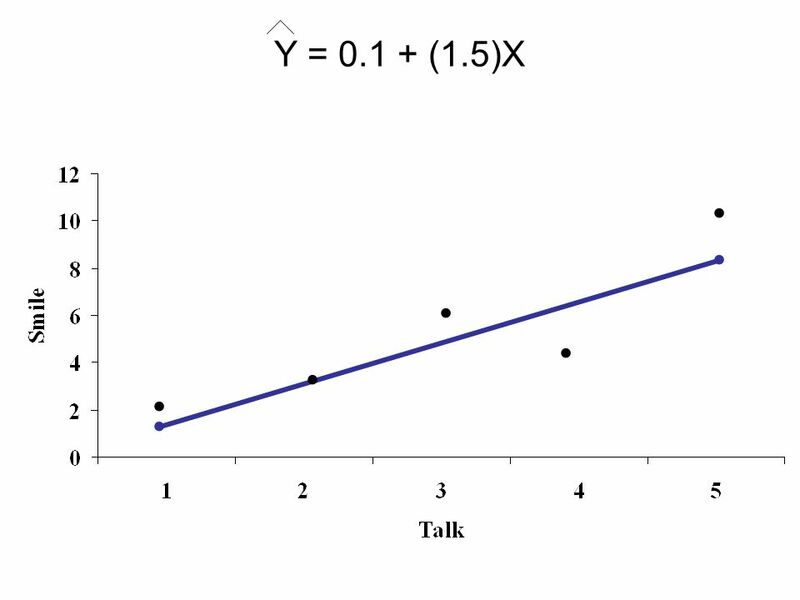 LINEAR REGRESSION: What it Is and How it Works. 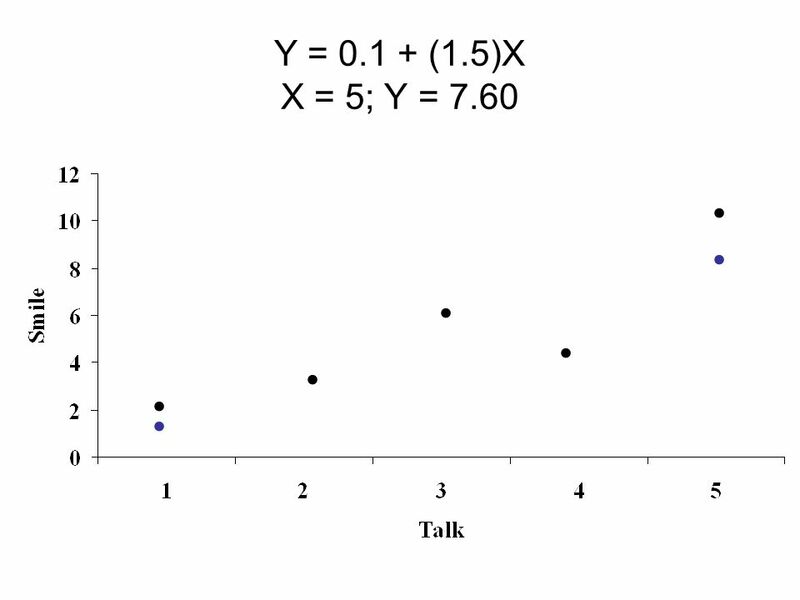 Overview What is Bivariate Linear Regression? 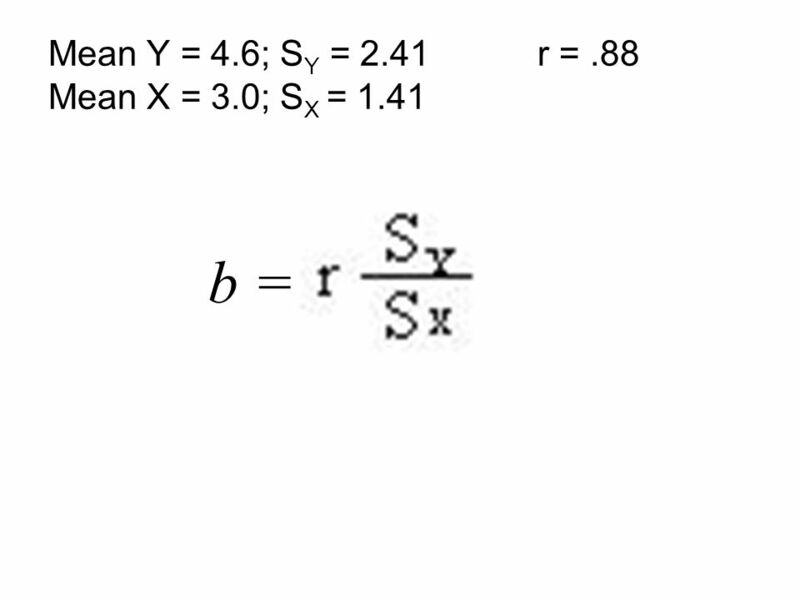 The Regression Equation How It’s Based on r.
REGRESSION What is Regression? 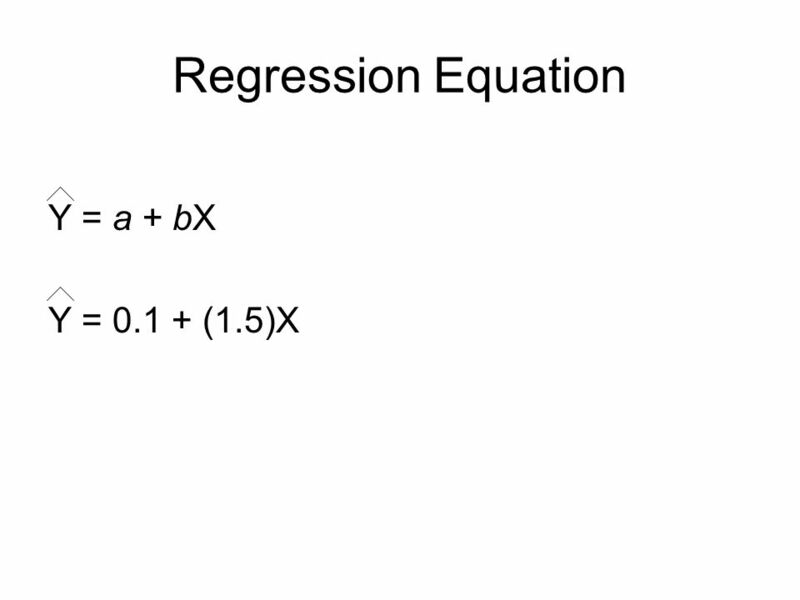 What is the Regression Equation? 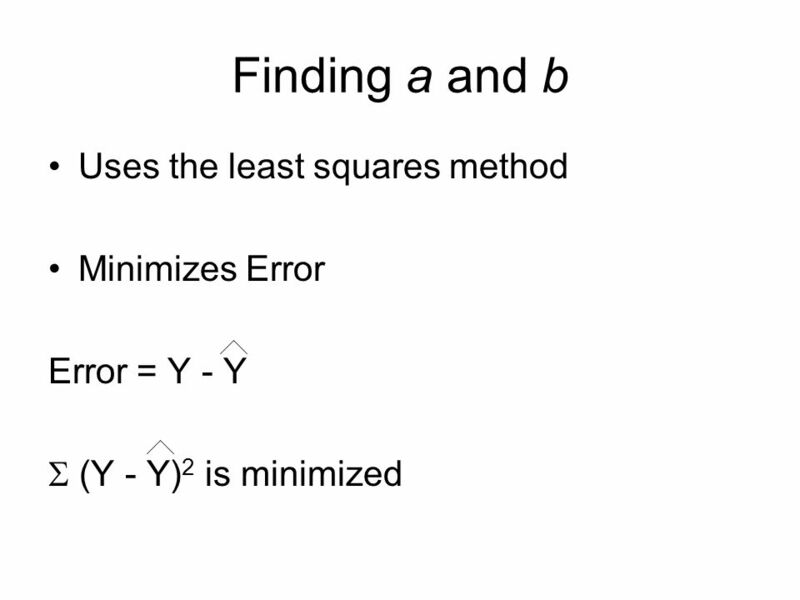 What is the Least-Squares Solution? 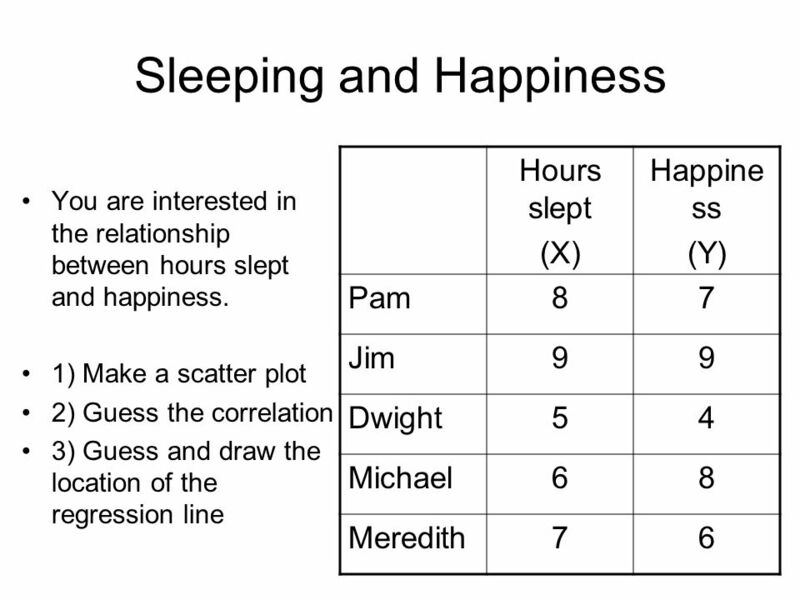 How is Regression Based on Correlation? What are the. 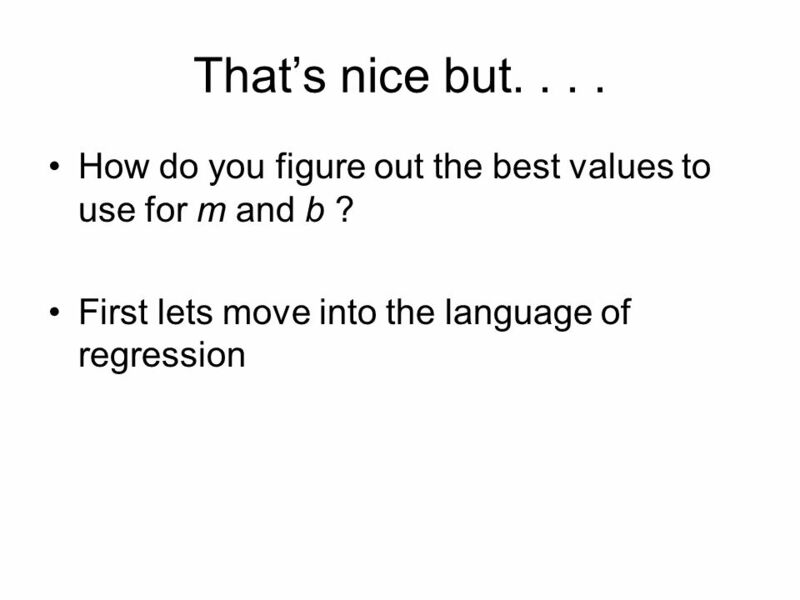 Business 205. Review Chi-Square Preview Regression. 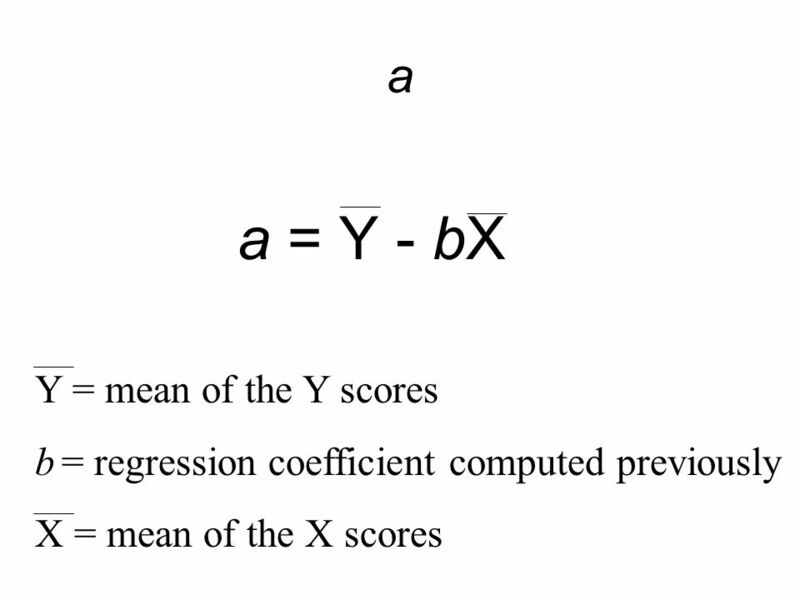 REGRESSION Predict future scores on Y based on measured scores on X Predictions are based on a correlation from a sample where both X and Y were measured. 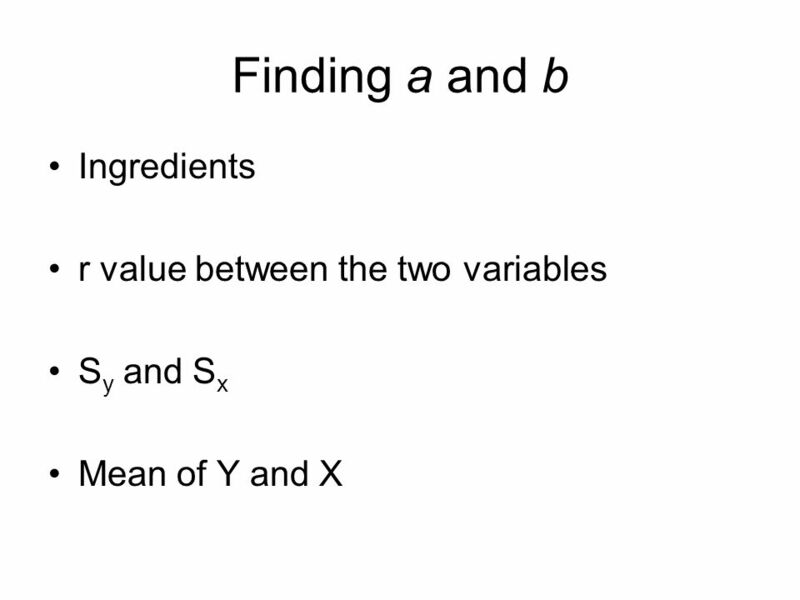 1 Relationships We have examined how to measure relationships between two categorical variables (chi-square) one categorical variable and one measurement. 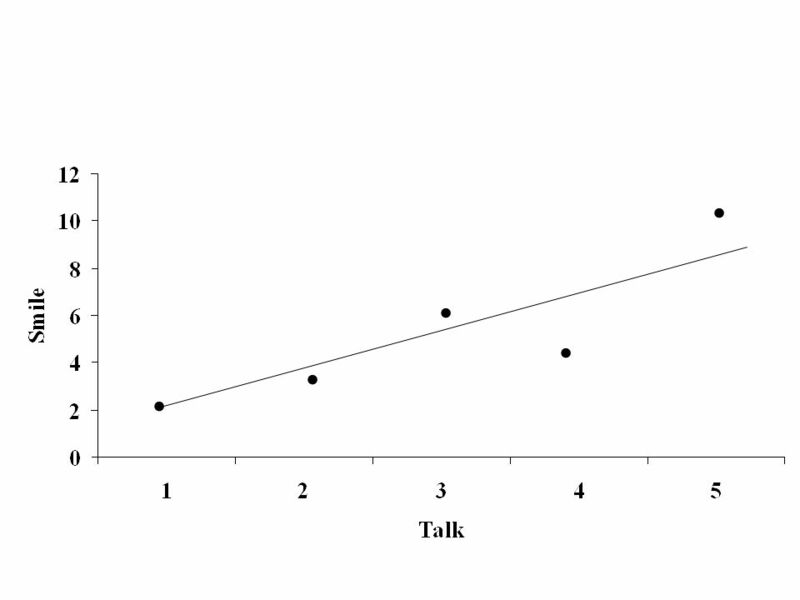 Correlation 1. 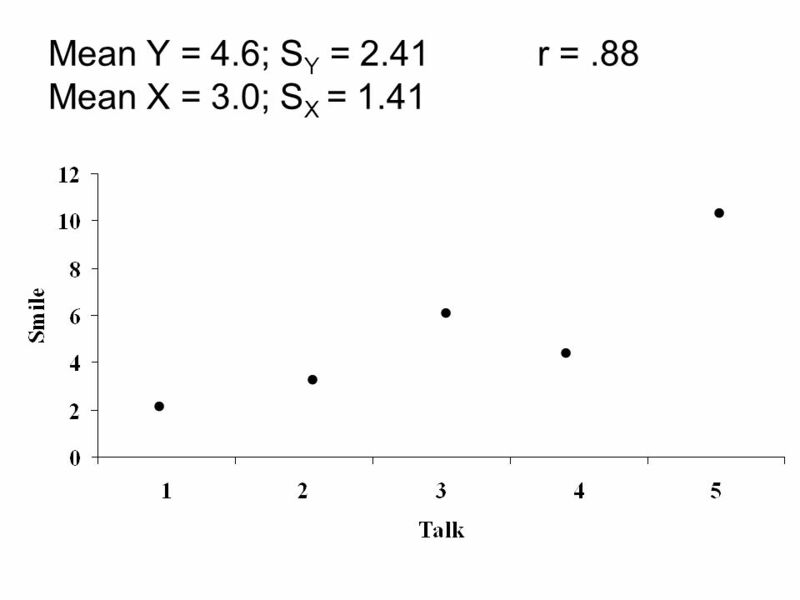 Correlation - degree to which variables are associated or covary. 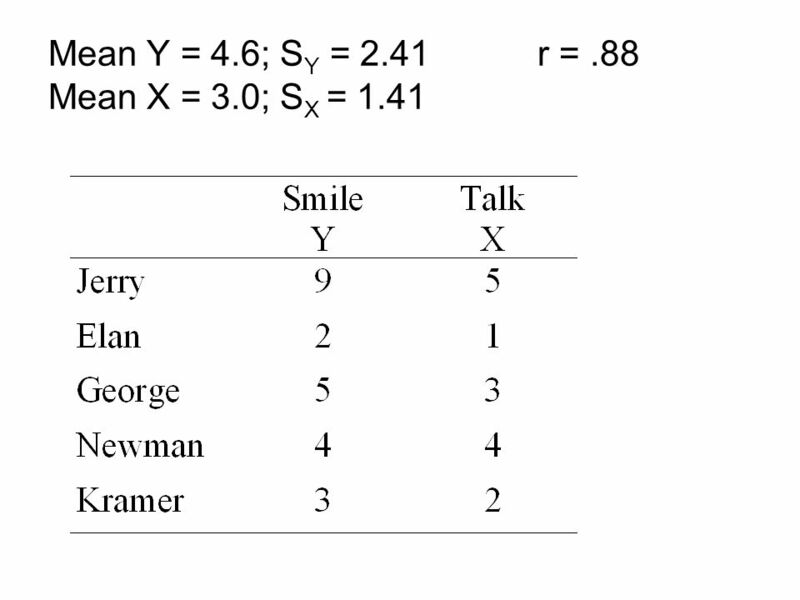 (Changes in the value of one tends to be associated with changes in the.